We are pleased to announce the launch of Cockpit, the first application in the Peerwith SaaS toolkit and a management console for Peerwith partners. 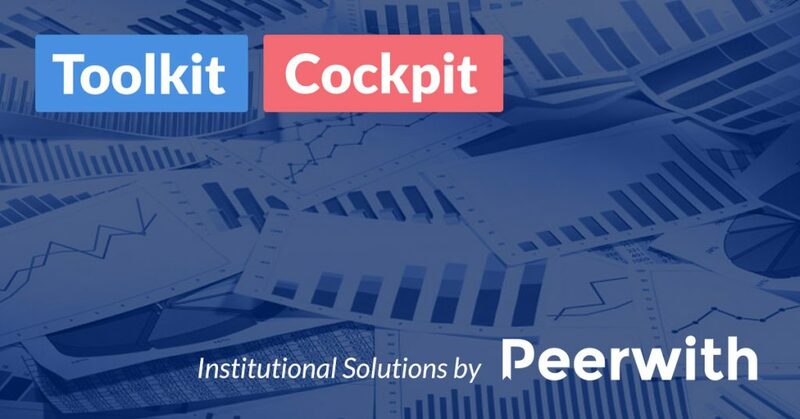 From today, the Cockpit application will be the key feature we offer institutions, corporations and publishers within the Peerwith private marketplace solution. The Peerwith private marketplace allows partners to view a version of our public marketplace which is specific to their institution, corporation or publishing house. The Cockpit application within this private marketplace allows Peerwith partners to manage that view. If you are interested in learning more about our new Cockpit application, or would like to view a demo, please contact Yuri (yuri@peerwith.com) who would be happy to help. Peerwith is a peer-2-peer researcher services platform, connecting academics and experts across the world, making the researcher services market more collaborative, affordable and transparent. We push the frontiers of communication in science by providing the most innovative, smart, secure, integrable and transparent technological solutions. Peerwith aims to advance science globally by connecting researchers with international experts to improve the quality of their academic work.